If you're the type of iPhone owner who continually adjusts your screen's brightness, consider downloading Brightslide. This recently released jailbreak tweak allows users to adjust brightness quickly and easily, via a neat interface which you can invoke using an Activator action. 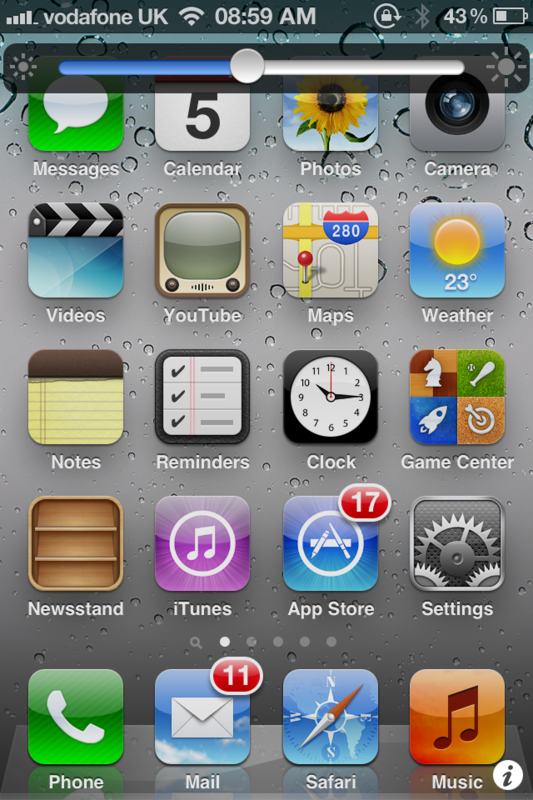 As you can see in the above image, the slider-bar sits at the top of your iPhone's screen - you can remove the bar by tapping on a blank space on your SpringBoard. Furthermore, you can adjust your volume settings by swiping along the slider-bar to access a new slider. It's possible to toggle the iPhone's flash light on or off using an icon on the slider-bar, too. You can download Brightslide for free in the Cydia Store (it's available via the BigBoss repository). Check out the new tweak, and feel free to share your thoughts in the comments. Below, we've included iDownloadBlog's video walkthrough of Brightslide for your viewing pleasure.